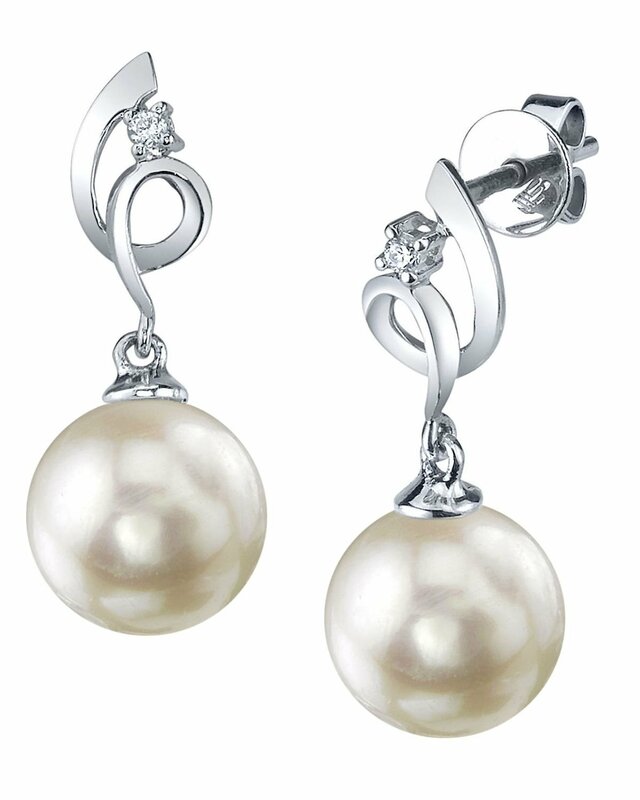 These beautiful earrings would make a beautiful match with our matching symphony pendant. These gorgeous 14K gold pearl earrings have beautiful 9mm AAAA quality freshwater pearls with a 'Very High' grade lustre! Two beautiful diamonds adorn these romantic pearl earrings which exhibit all the beauty of pearls without traveling the distance! If you have any questions, feel free to call us anytime at 866-87-Pearl (866-877-3275).